Dahline was heavily involved in the recent creation of SportsEngine HQ, the primary product that clubs, leagues, associations and governing bodies use to manage their organization on the SportsEngine Platform. 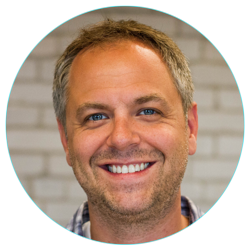 Navigate to the intersection of family, youth sports and technology, and it’s not hard to spot Jim Dahline. Just look for the guy directing traffic. A proud dad, an administrator and coach for one of the nation’s largest youth hockey organizations and a five-year SportsEngine employee, Dahline’s worlds collide every day in multiple ways. As a father, Dahline wants his daughter and son to enjoy the same transformational experiences he had as a kid loving every minute of his hockey-playing days in Grand Rapids, Minnesota. As a key cog in the Edina (Minnesota) Youth Hockey machine, Dahline serves as a team manager, organization fundraiser and age-level liaison – among other roles. As SportsEngine’s Director of Marketing, Dahline’s job is to help makes lives of folks immersed in youth sports – people just like him – easier. It’s no surprise, then, that Dahline was heavily involved in the recent creation of SportsEngine HQ, the primary product that clubs, leagues, associations and governing bodies use to manage their organization on the SportsEngine Platform. We sat down with Dahline to learn more about SportsEngine HQ and how it fits his, and SportsEngine’s, “make lives easier” mantra. What’s your elevator pitch (30-seconds-or-less description) when people ask you to explain what SportsEngine HQ is all about? I would say that organizations can be complex, and they touch a lot of different things. From collecting sign ups to communicating to members to managing fees to setting up schedules to managing coaches and compliance and safety programs. There are a lot of things that go into running an organization, and HQ brings all of those tools to do that into one place and really focuses on the administrators and the coordinators and the people in the organization to make it easier for them. They don’t have to manage multiple applications, they don’t have to look for multiple subscriptions, they can even bounce between multiple organizations they may be a part of, all inside HQ. 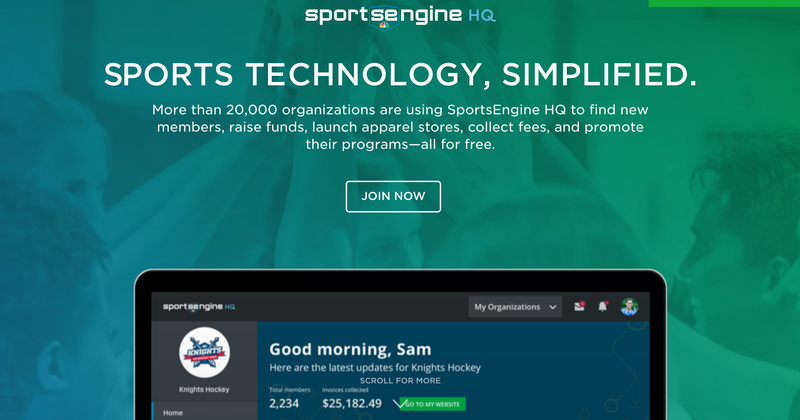 How is HQ different than anything offered previously by SportsEngine? SportsEngine HQ really combines all of the tools that our customers are familiar with into a brand new space. But also really focuses on the platform values and features that have been created. For example, a level coordinator may come out of tryouts and place their athletes onto individual teams. A finance director who needs to send out roster payments or bills in the invoicing system can select those teams very easily and send out those bills. They don’t have to create different reports or create lists of people to send those bills out to. Additionally, parents, when they create an account and sign up each of their athletes, once they log into the SportsEngine mobile app, they see their athletes’ schedule and can communicate with the team because the platform recognizes that their athletes were all placed on that team. And since they had their account connected to those athletes when they signed up, it’s smart enough to recognize that yep, these are the parents, these are the kids, this is the team that they are on, show those teams. For you, as a youth sports administrator, coach and dad, among other roles, what about HQ do you think will appeal most to folks heavily involved in all aspects of youth sports, like you? The thing that I love the best, and I’ve had the opportunity to use this for a little while now, is the SE bar, which brings all of my messages, notifications and other information into once place. And I can also easily jump between going in and doing a schedule upload, helping out as a level coordinator, and then I can just use the dropdown to jump to my team and look at RSVPs for the upcoming weekend. It really takes dozens of steps out that I may have needed to do in the past. And really, it feels like the application has been built for me. It is very customized to my experience and who I am as a person on the platform versus having to go to different different places and re-logging in at different times. There are two packages for our customers. HQ is available to any youth sports and amateur sports organization out there. It provides, at the free level, tools for them to collect money, to build a sponsorship program, they can set up a fundraising campaign, they can set up an apparel store, they can promote their program on SportsEngine.com, which is supported with millions of dollars of on-air advertising with NBC Sports and through other partners. For organizations that want to further utilize SportsEngine to collect and manage their sign-ups, to send out their own invoices, to run their own programs, to set up all their teams and utilize the team management application there is an upgraded subscription price of $69 per month for those customers who are using our full suite of tools. Has SportsEngine offered free access to any of its software before this? This is something that we have learned over the last few years. We have created some partnerships with SquadLocker, for example, we have created some apparel stores. We have built some applications to build posters or create sponsorships and two years ago we launched SportsEngine.com to create awareness and drive sign-ups for our customers. Really what we we have done with HQ is brought those all into one place and still continue to offer those. 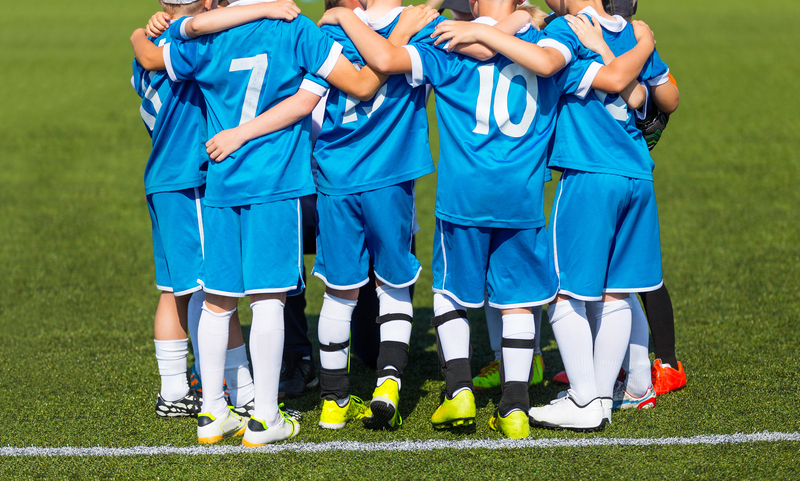 Ultimately our mission is to get more kids active and involved in programs, so we wanted to put together a suite of tools that, no matter who you are and what you use for any of your technology, you have access to help create awareness and build your programs inside SportsEngine. Have parents, coaches or administrators been allowed early access to test out SportsEngine HQ? If so, what is some of the feedback you have heard? One of the great things about working here at SportsEngine is we are surrounded by people who, in the evenings and on the weekends, are also being coaches and administrators. So we’ve been able to utilize hundreds of our employees to utilize it in their day-to-day lives. We’ve also had a beta program where administrators and parents have been able to test this out and try it out. And the feedback so far has been overwhelmingly positive. It makes it so much easier for them to get to and do the things they need to do. It helps others sort of discover the things they have access to. How could people find more information or resources about SportsEngine HQ? I would encourage people to go to our website. SportsEngine.com/HQ will provide a really good overview of what SportsEngine HQ is. If you want to learn more about how to collect signups, process payments, manage your teams, set up your teams in the mobile app, manager your athletes’ and parents’ member accounts, you can do all that right there on the website.